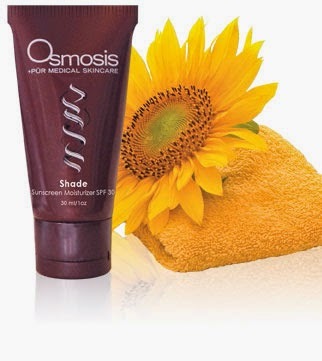 Wrinkle Protection - Tips from Osmosis to keep the wrinkles away! Did you know that scrubbing away at your skin can cause aging? By over exfoliating you’re actually removing the only protective barrier that your skin has. If you remove the barrier then your skin is exposed to environmental toxins and the sun, which causes the most damage. Any inflammation and harm done to your skin will accentuate aging causing a loss of hydration, elasticity and wrinkles. So the key is to use products that encourage a natural cell turn over and make sure to keep hydrated! Our Vitamin A serums are perfect for this! drawing out bacteria. Anytime you pick or pull at your skin you’re causing damage and creating, irritation, scars, and yes even wrinkles! Sun protection is key to keeping your skin and body healthy. The sun is the most powerful energy source so why would you want it beating against the only thing protecting your body? Anytime your skin is overexposed to the sun it has to work overtime to try to protect itself which can cause it to weaken and therefore, create sun spots, aging skin, and wrinkles. So make sure to always wear a natural protection such as Shade or our Mineral Pressed Powders to defend against the sun and to keep your skin young, beautiful and healthy.